In our last newsletter, we talked about startups delivering fresh produce directly into your kitchen and about vending machines enabling you to find prepared meals in your office. While it seems strange to some entrepreneurs, people are still spending time and money in their kitchen. However, the kitchen appliances companies are maybe on the verge of being seriously shaken with a newcomer: Amazon. Last week, Amazon announced a lot of new Alexa-connected device, among which a microwave. With a sleek design and an affordable price of $60, the new device is most importantly “smart”. You can talk to him (though you need to own already an Alexa device) to ask him to heat for 10 minutes but more impressively you can ask to “reheat one cup of coffee” or to “defrost 200 grams of chicken”. It is a start, mostly a demo to convince other appliances makers to integrate Alexa into their devices. Still, it shows how things are moving fast in the kitchen. 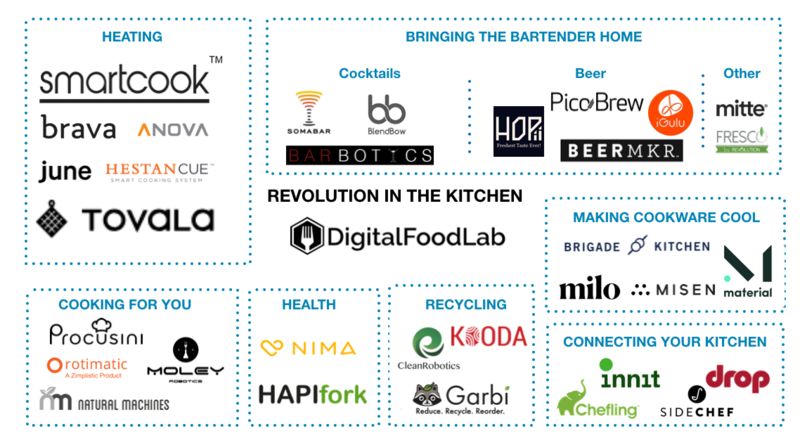 Below is our classification of startups reinventing the kitchen (full document accessible through a client-only note). Heating is only a small part of something much more important. 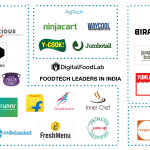 First, startups are building tools to help consumers improve the way they cook, heat or prepare their food. 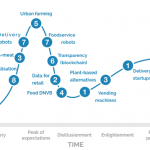 It’s basically where Amazon and its microwave is coming, competing with SEB, Electrolux, Philips and the others. You can find here DNVB (Digital Native Vertical Brands) such as Misen, technology-oriented hardware startups such as June and its high-end smart oven and finally startups trying to connect your current appliances to the cloud. 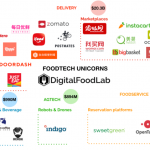 Following this first step, startups are already developing offers mixing food with technology. One of the best examples is Tovala. The startup (backed by Tyson Foods) offer is to sell you both fresh meals and the oven that will know how to heat them perfectly. It’s a good way to lock the consumer and to be present in his kitchen. 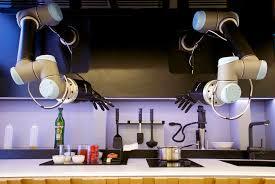 Finally, a third and more futuristic approach will be when 3D printing machines or robots will actually be able to cook meals (or print) instead of you. 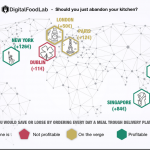 Kitchens have not changed a lot in the last decade, it is still a place where startups can have a great impact to improve the consumers’ experiences, diet and reduce food waste. 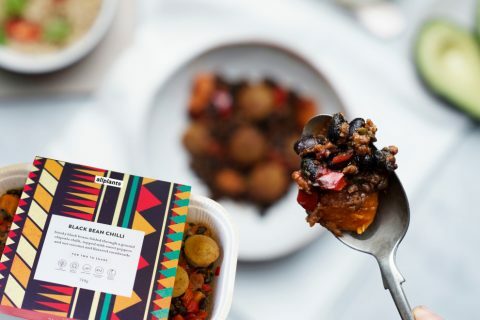 All Plants has raised £7.5m for its (vegan) meal delivery service. As Territory (Washington, US) and Foodcheri seazons (France), they deliver 6 fresh meals for one or 2 persons in one time. Their offer enable users to test vegan food easily. 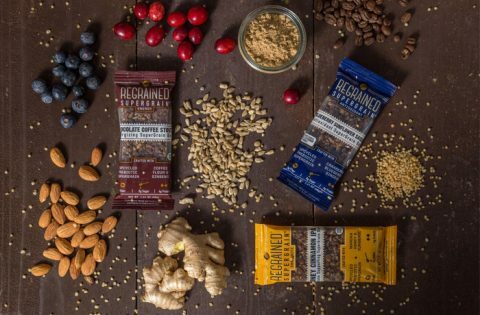 ReGrained raises a new round of $2.5 million to sustain its growth. The investment will finance the development of the commercialization of the technology (transforming the spent grain left over at the end of the brewing process into edible foods). Just will launch first cell-based meat in 2018 but will not have meaningful quantities before 2 to 3 years. Just is well-known for its vegan mayo and its range of egg replacement products. They have gone further sooner this year when they announced their will to make clean chicken meat. They know say that the product will be tested in a restaurant later this year and will enter mass production in 2 to 3 years. Is Cannabis the new Bitcoin? While this question may seem weird, it’s not the result of some over-consumption of relaxing material. The market value of some companies (especially Tilray) has skyrocketed, just has bitcoin had. This article compares the two bubbles.